Looking to enhance your BI skills? Some of the most talked about data visualization tools in the market are Tableau, Power BI Qlikview. Some companies even use Spotfire for visualizations as well. Are you looking to get into Analytics after college? How about getting a headstart in your summer vacations? Get something extra this summer vacation for a dream price and the cherry on the cake? How to start learning Python? Python – A language that by self-confession was not created for mass consumption is creating ripples all across the spectrum of programming languages, is being touted to be the future programming language. 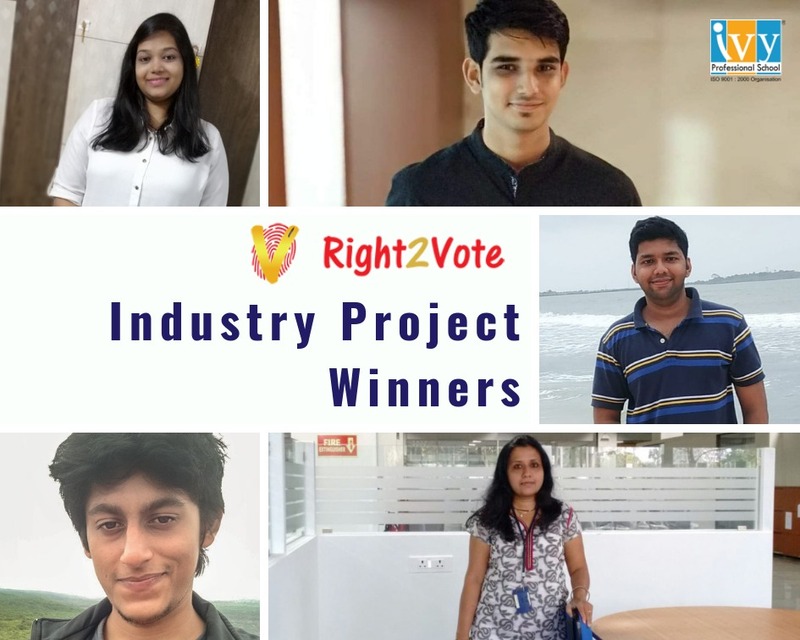 Right2Vote & students of Ivy Professional School recently teamed up for a Live Industry Project.